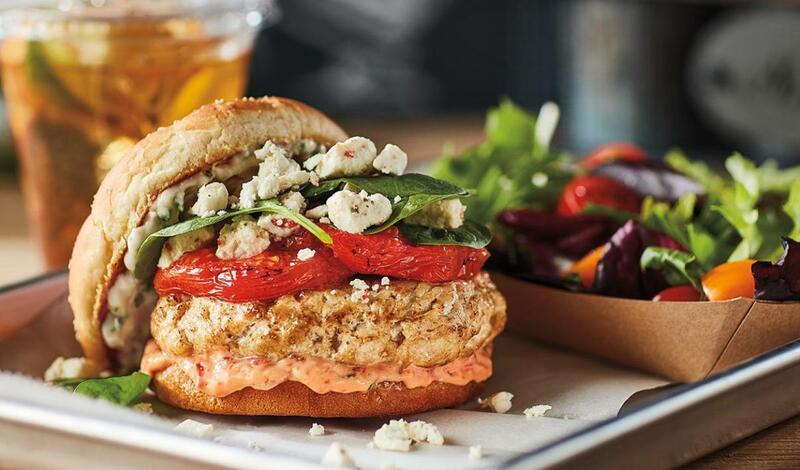 A lean turkey patty topped with fresh spinach, herb-marinated feta cheese, sliced tomatoes, garlic-chive mayonnaise and a signature roasted red pepper basil sauce. Puree all ingredients together and reserve. Cook patty until internal temperature reaches 165°F. Spread prepared Chive and Garlic Mayonnaise on top bun. Spread Roasted Red Pepper Basil Sauce on bottom bun.